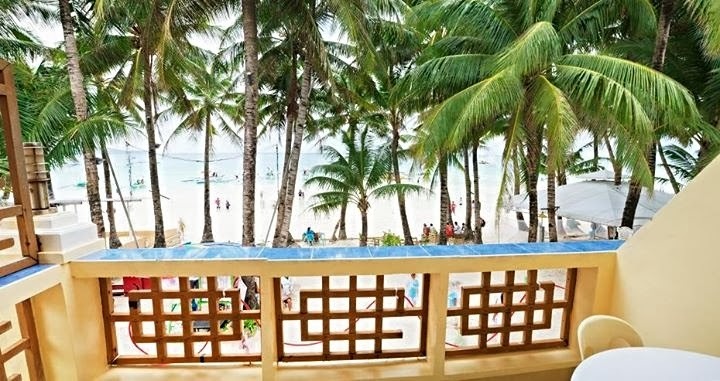 We originally planned to booked it once we get to Boracay, because when I phoned the resort a day before our departure, there were still available rooms. 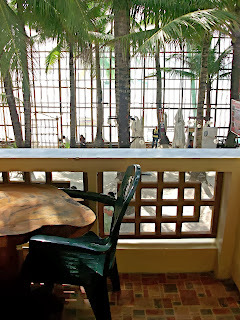 But since our friends went a day ahead of us, they offered to book it for us instead. 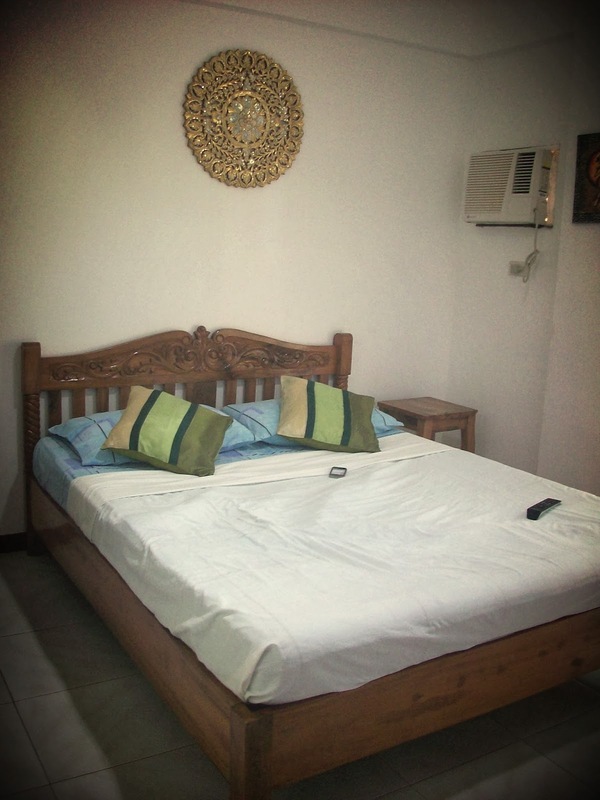 And luckily, the room was given in discounted price from the rates published on their website. But honestly the price written on their website is already cheap so it was really a good find. Our friends even made sure that we get a room with a veranda and Casa Fiesta happily obliged. 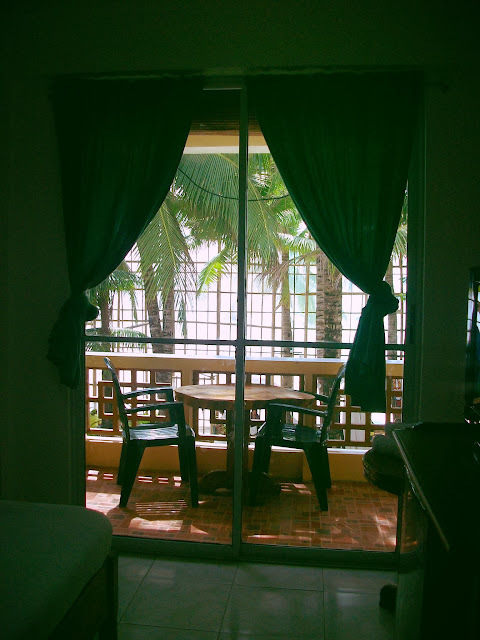 We were ushered to our room by a very nice lady caretaker, the room is nothing compared to what we had experienced in Astoria (each has its own charm), but the size was enough for you to move around freely. The room was very basic: with a queen sized bed that didn't give us backaches, a good working air-conditioning, an open cabinet to put our stuff, a flat screen TV that we almost didn't use and a mini ref. the sheets and pillows smelled clean and fresh as well. 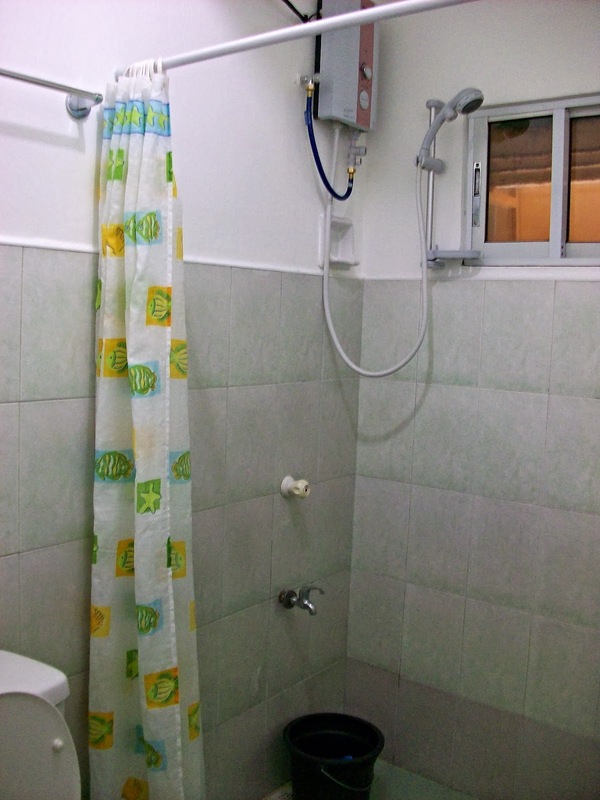 The Comfort Room is clean and not with musty or moldy tiles, there is a hot/cold shower that looked new. 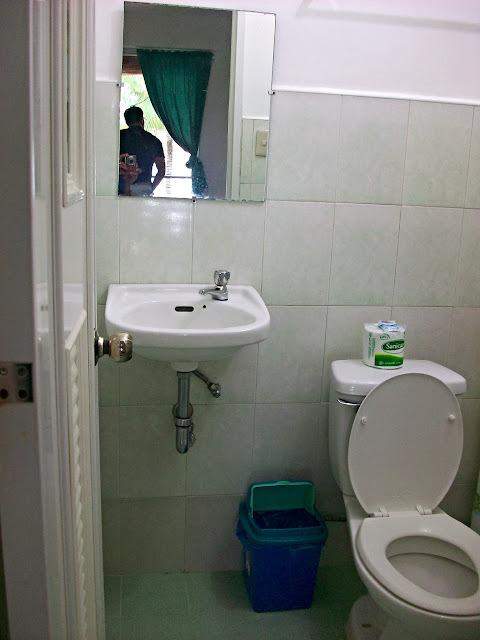 Basic toiletries were provided, including a small soap, tissue and bath towels (not as thick as Astoria's though and are kinda worn-out but were clean and fresh). It's a good thing that I'm a girl scout and I always bring our own set of toiletries and bath towels, so I didn't mind. 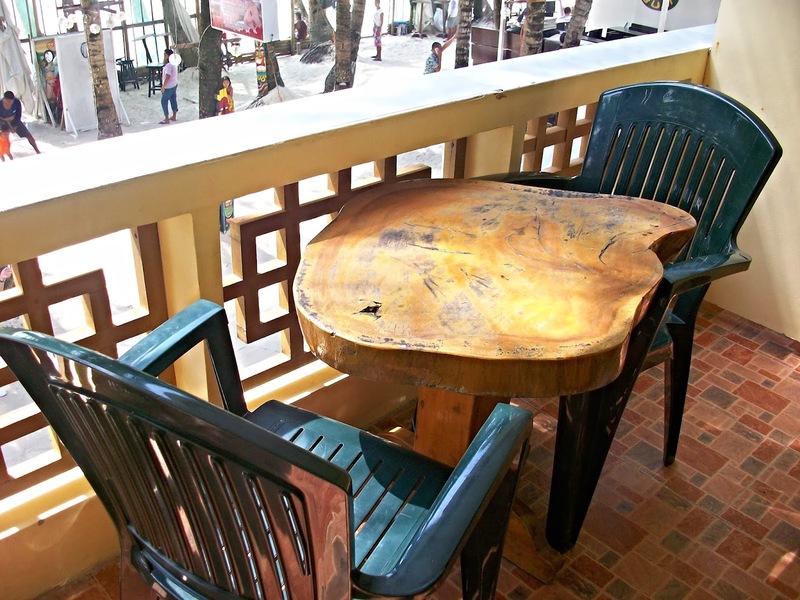 The Wi-Fi connection is OK probably because the router is just outside our room placed in one of the walls of our veranda. When you enter the gate and before going up to your room, there's a faucet where you can wash your feet and legs to remove all the sand you've accumulated. 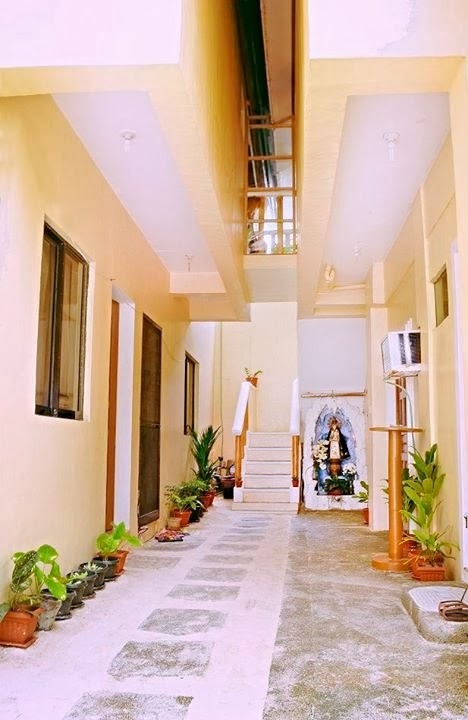 I also noticed that the care takers always sweep the hallways to keep the place clean and pristine.There's a security guard on duty too, at night, so you will feel safe. 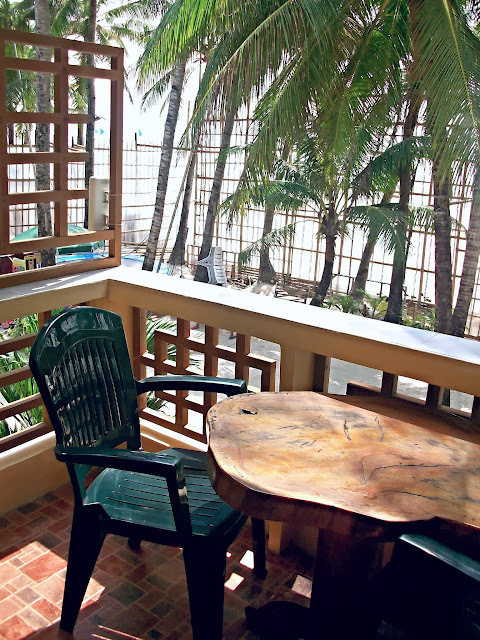 can you spot the wi-fi router placed on the wall of our veranda? Talk about beach front! Who wouldn't love a balcony overlooking the beach? (ok didn't I just say that a couple of times already? LOL!) 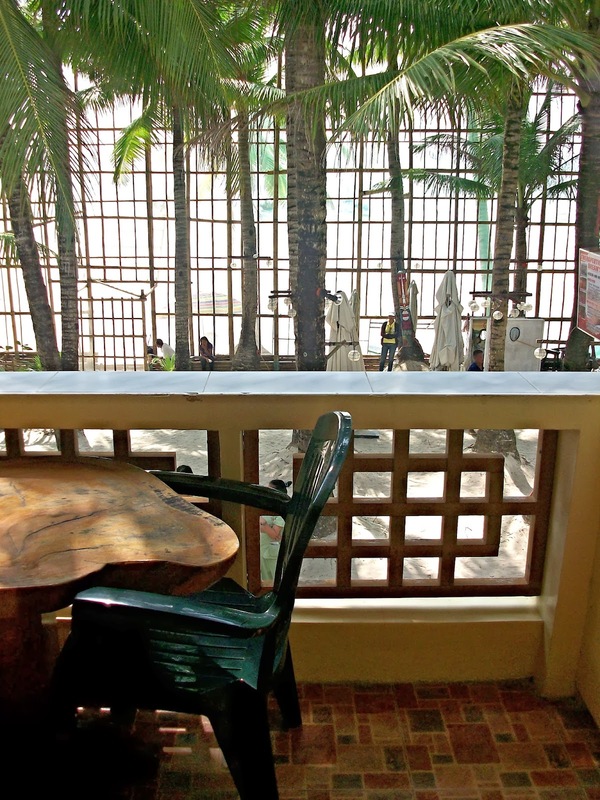 Although it gets noisy at night because of the nearby beachfront bars I think it wouldn't matter since at those times we were out strolling somewhere in Station 2 or D'Mall. 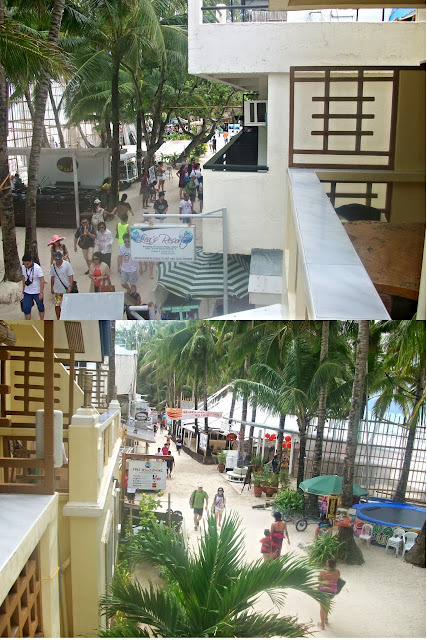 We even got to watch the infamous Boracay Fire Dancers dancing to "Gangnam Style", for free while sitting, drinking shakes on our room's veranda and eating grilled street foods which we bought just in front of Casa Fiesta. 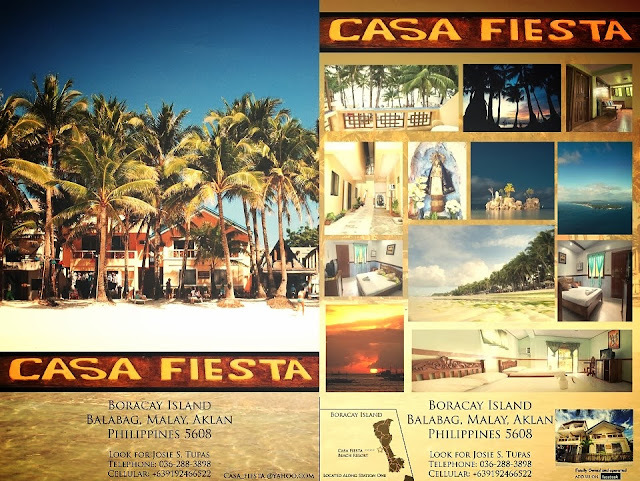 When it was time for us to check-out, we asked the owner of Casa Fiesta if we can leave our luggage at their office since our flight is still at 4:00pm and we still plan to eat lunch somewhere in Station 2 or D'mall, she said it wasn't a problem, she even helped us put our luggage in one corner of the resort's office. 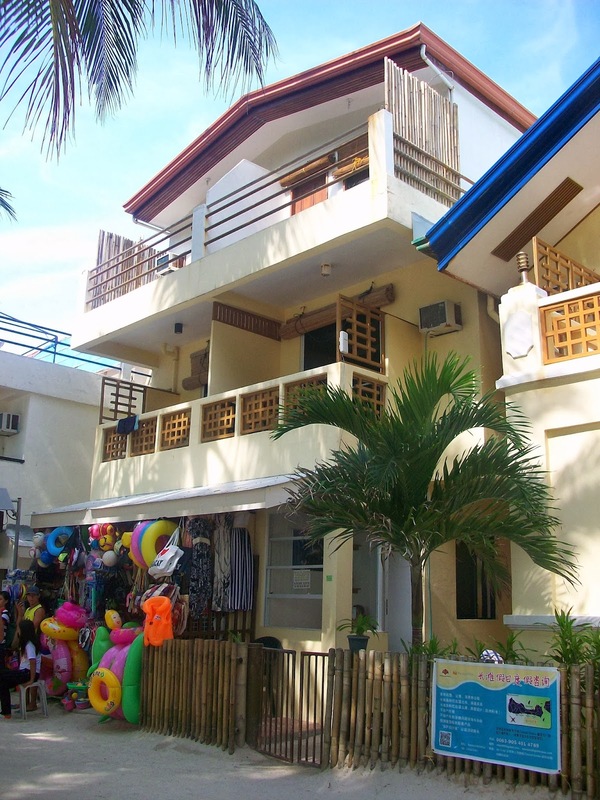 To sum it all up, we had a pleasant and comfortable one-night stay at Casa Fiesta. 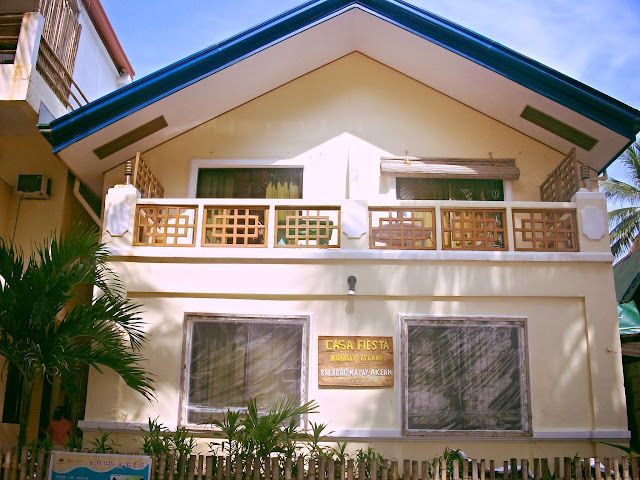 If we are to go back to Boracay and we're limited in budget, Casa Fiesta would be our first choice for our accommodation. If you want to spend your vacation in Boracay, specially if Station 1 is your choice, Casa Fiesta is the best option, without spending too much. how much po accomodation good for 2? 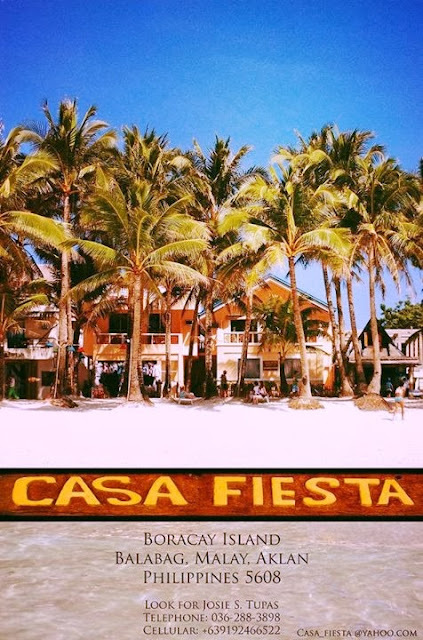 hi, thanks for dropping by, the contact numbers of Casa Fiesta is written at the end of my blog post :) thanks! Hi. Ano po ang room number nyo sa Casa Fiesta? 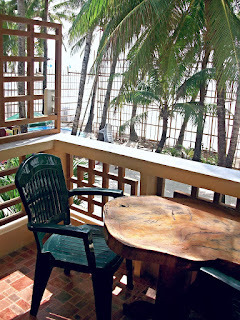 i can't remember, 205 i think, it's on the second floor if your facing casa fiesta from the beach it's on the right side.. i think it's better than what we were supposed to occupy. they originally reserved the room above where we stayed at..
My friends are planning to go to Boracay, I think this will be a good option if we push through our plan. I hope Casa Fiesta is available with all the affiliated hotels to Boracay Go.